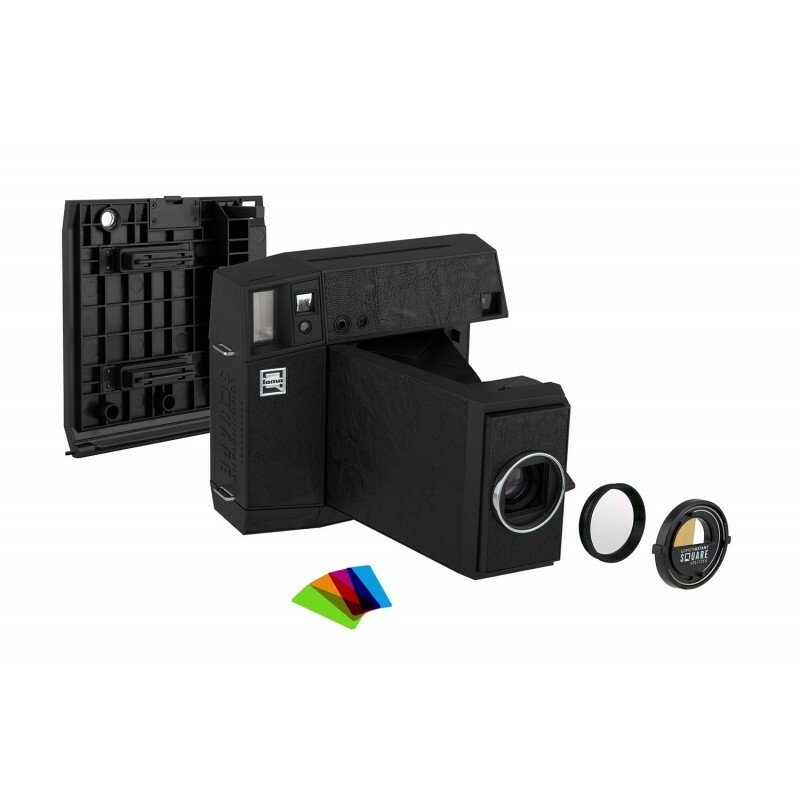 Here is the Lomo'Instant Square Glass Black Combo Edition Camera! 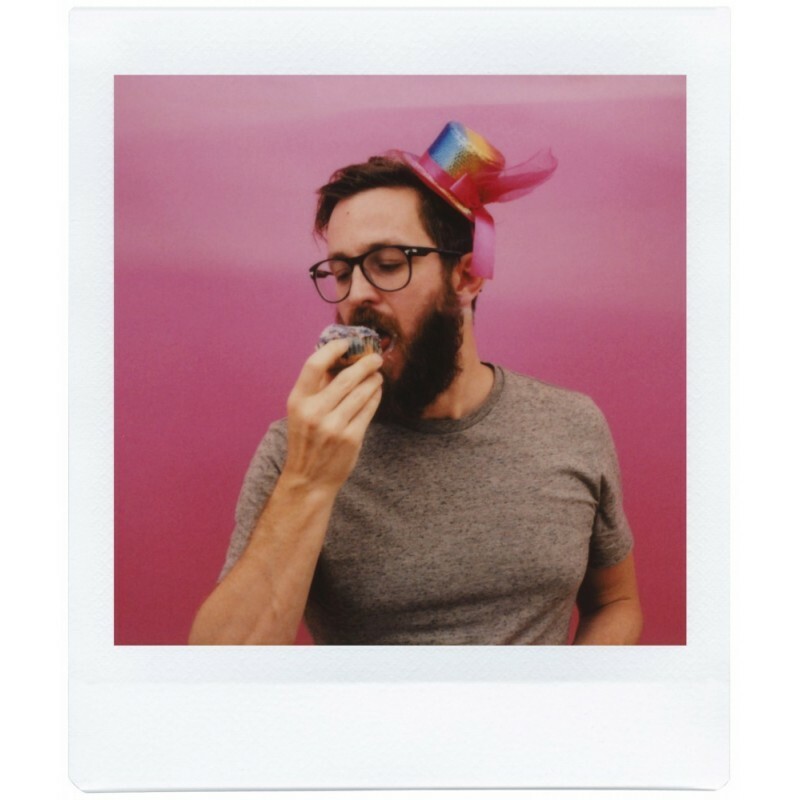 Order now your Lomo Instant Square Black Combo Edition at Nicole Design Store, Authorized Dealer Lomography, and you can choose to receive FREE three packs of batteries (2xCR2 and 1x high-performance lithium button worth around € 15) and a course complete in store or via Skype (live) to learn how to use it and start with instant fun saving or get a great discount. 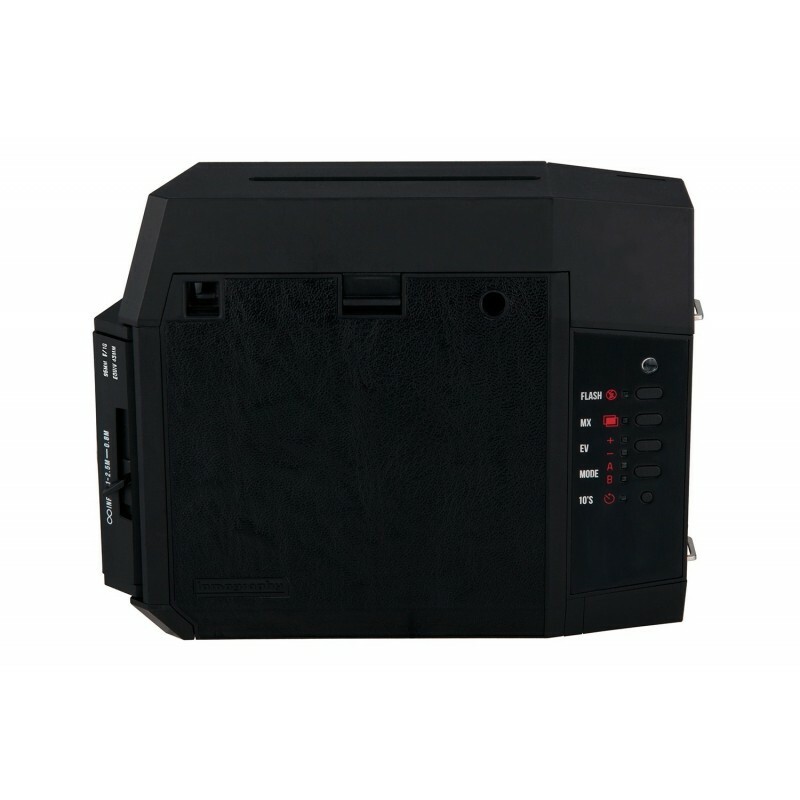 By buying this product you can collect up to 368 loyalty points. Your cart will total 368 points that can be converted into a voucher of 11,04 €. Why is it convenient to buy Lomo'Instant Square Glass Black Combo at Nicole design store? 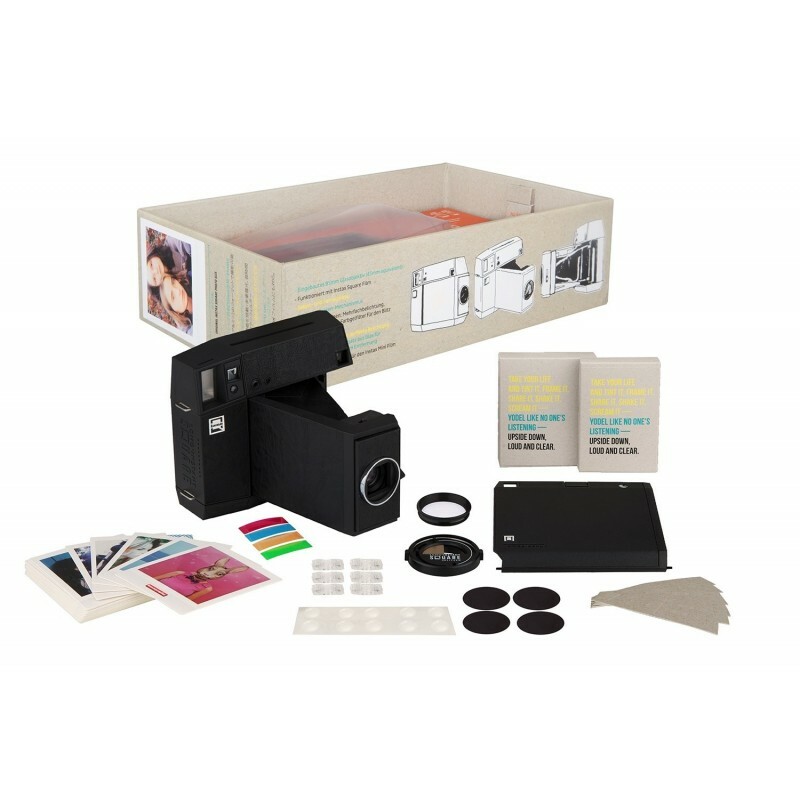 Nicole presents Lomo'Instant Square Glass Black Combo, the complete classic edition in Black colour with all the accessories available for the new born of the Lomographic Society. 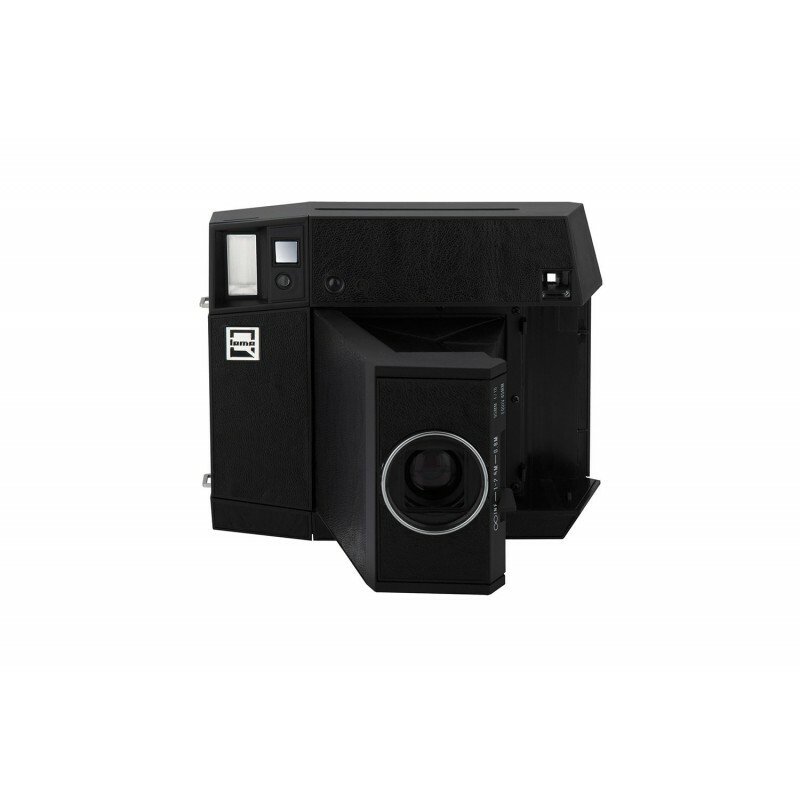 Lomo'Instant Square Glass Black Combo is a camera developed to get instant shots of a quality never seen before in other instant cameras. 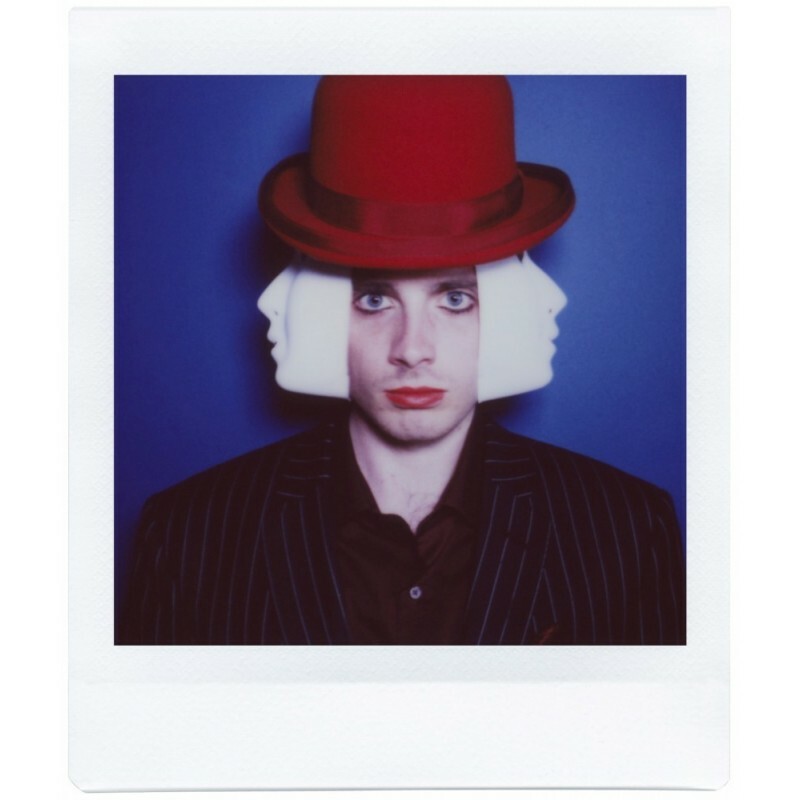 THE LENSES - Starting from the lenses, these are made of glass for all the models and colors of Lomo'Instant Square. 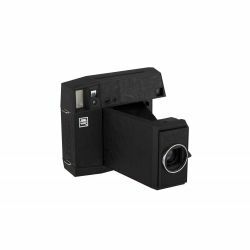 In the basic version of Lomo'Instant Square Black there is only the integrated lens, a 95mm equiv. 45mm capable of a variable focal distance, with three zones, from 0.8m to infinity. 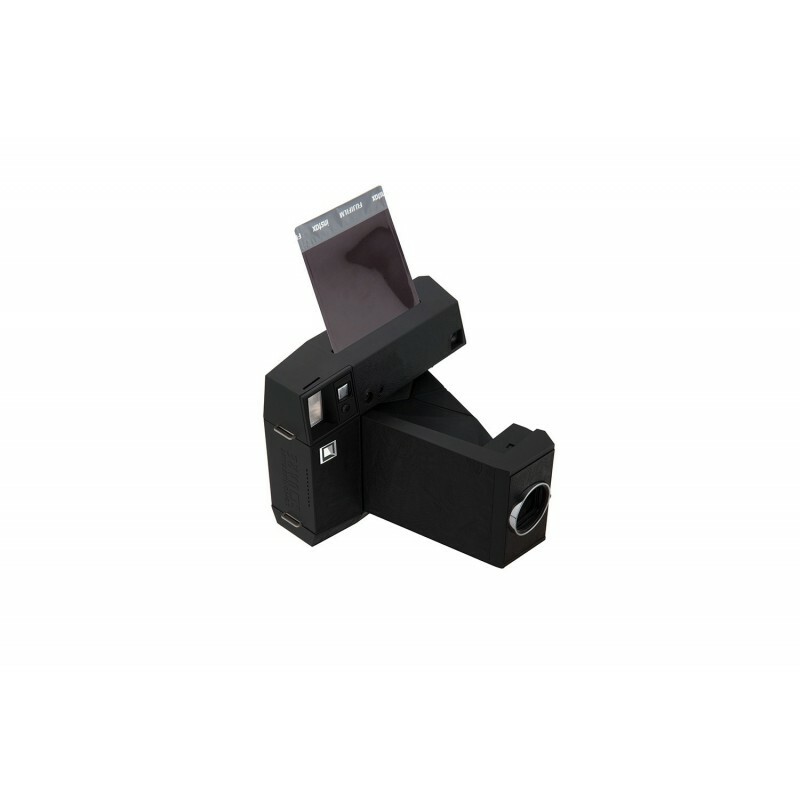 In this version, Lomo'Instant Square Glass Black Combo, you will also find a portrait lens, usable in 0.8m position for shots at 0.5m from the subject. 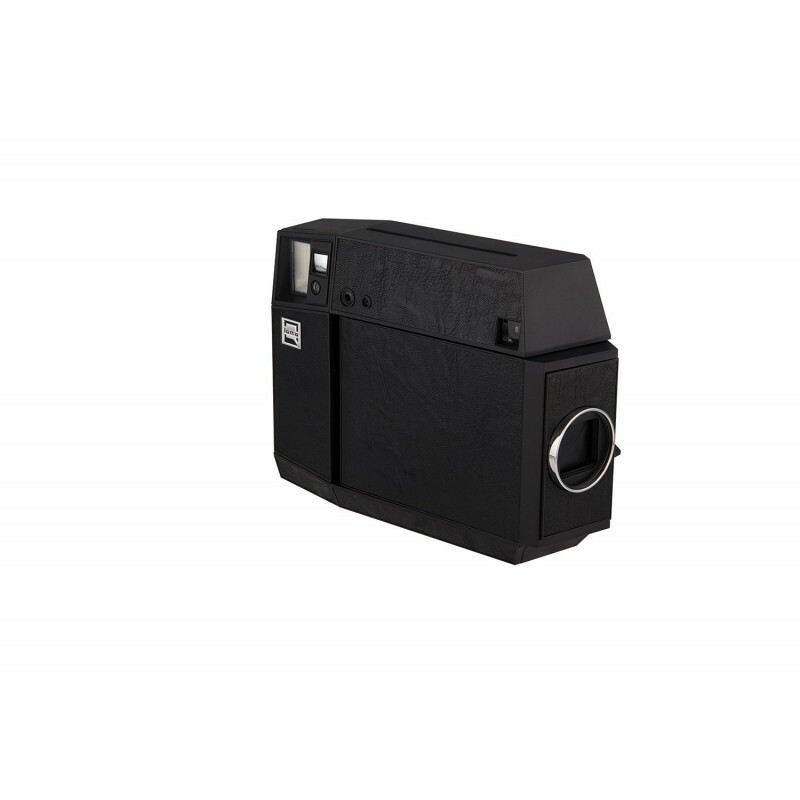 The bellows lens of the Lomo'Instant Square Glass Black Combo, although it may visually look fragile, is structurally very solid, thanks to reinforcements, meshes and a completely metal locking system, and also acts as a "switch" to the camera itself. 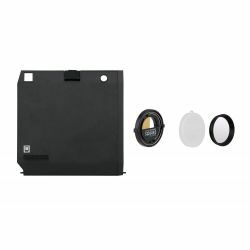 When you open the lens, the lens will be automatically detected and a sensor will turn on the camera. FOCUSING - The focus in Lomo'Instant Square Glass Black Combo, as understood from the previous lines, is manual, but very simple: there are three positions to focus on subjects at 0.8m (photos of a bust, small groups, a small mural, a painting), to 1 / 2.5m (group photo, photo to a vehicle, photo to a table) and infinite, for all the subjects distant more than 2.5 / 3m. 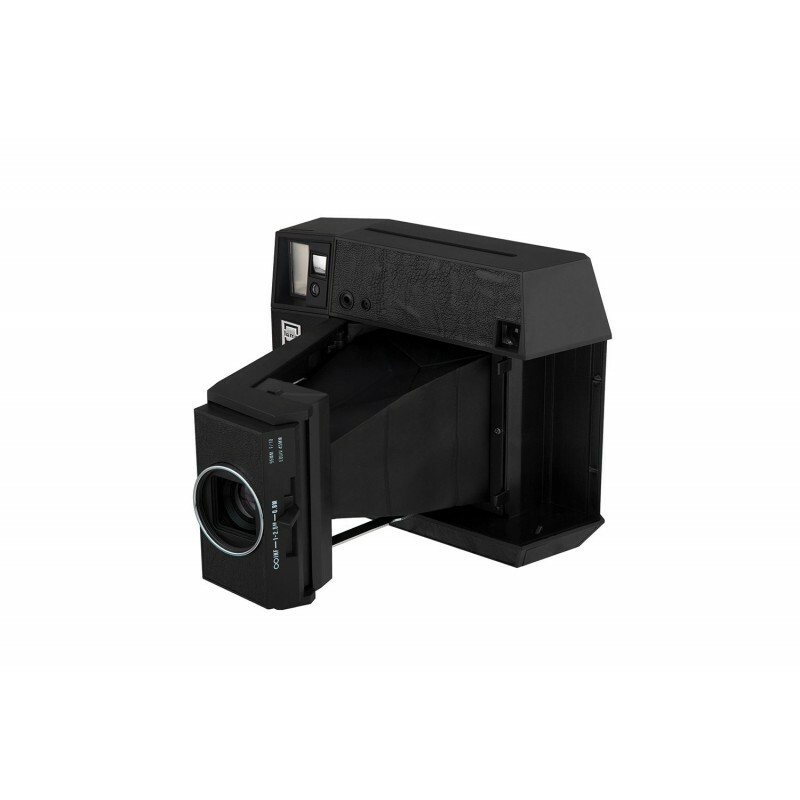 THE FLASH - The automatic flash of Lomo'Instant Square Glass Black Combo, as mentioned, can either be controlled independently (it is activated or deactivated on the basis of the information collected by the sensor) or it can be manually deactivated. In the upper part of it there is a slot inside which it is possible to insert the colored filters supplied in number and the same colors regardless of the version or edition chosen. EXPOSURE - The exposure in Lomo'Instant Square Glass Black Combo can be adjusted automatically or manually, thanks to two special selectors, in f / 10 or f / 22. 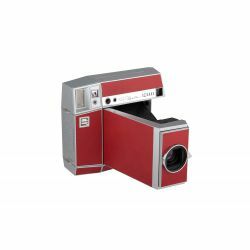 SELF TIMER - Lomo'Instant Square Pigalle Combo has a button to set a self timer with a 10s timer. 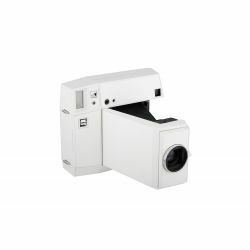 Our advice is to use the remote control at a distance, so you have plenty of time to pose! 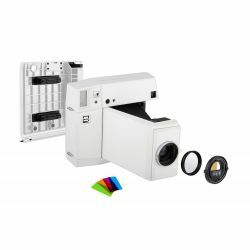 THE SIZE - Lomo'Instant Square Glass Black Combo is also the first and only modern instant camera to be hybrid in format: in fact, thanks to an accessory available in all Combo versions and in an additional accessory kit sold separately to the basic machine (a kit that, in fact, equates in the field of accessories the basic package and the Combo version and which also includes splitzer and macro lens), you can use both Instax Square and Instax Mini format films, for a double dose of Creativity. 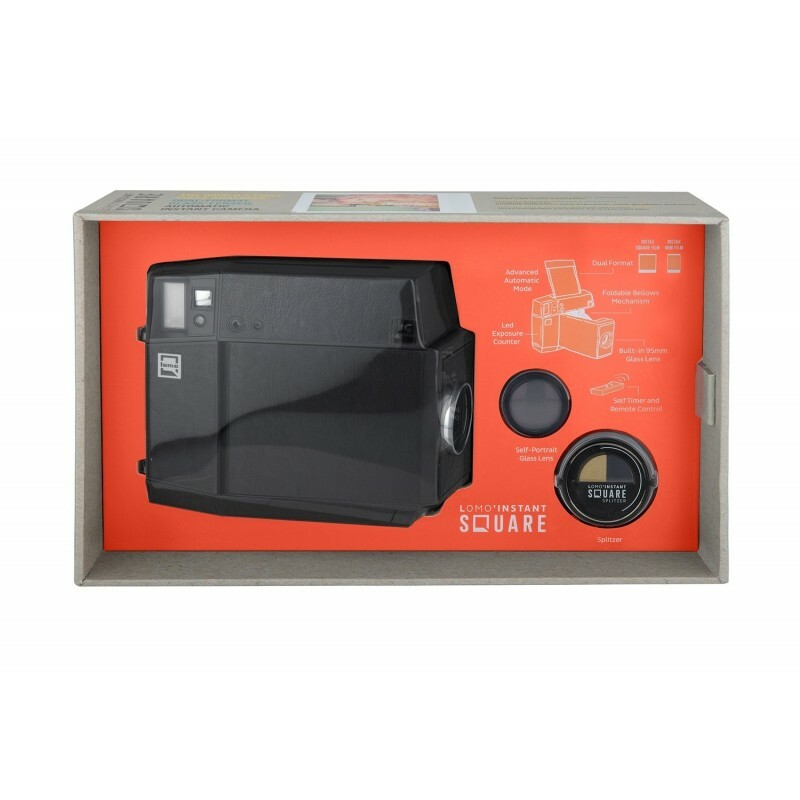 The feature that distinguishes all models of Lomography instant cameras, including Lomo'Instant Square Glass Black Combo, is the possibility that the operator is given the opportunity to interact fully with the camera settings.